Robert Dornhelm’s film Beauty As I See It is a compelling, ambitious documentary on the life and career of the late conductor Herbert Von Karajan, who, more than any other musician of the twentieth century, made an obsessive, downright bizarre fetish of surface beauty in musical interpretation. 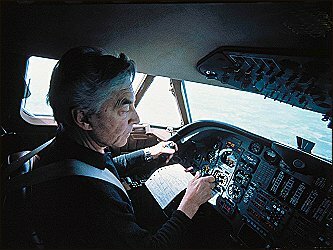 A billion words have probably been written about Karajan, from the adulation of Richard Osborne, who surprisingly wrote the fairly well balanced biography, “Karajan, a Life in Music,” to Norman Lebrecht, author of the intentionally provocative “The Maestro Myth” who sometimes likens Karajan to Lucifer himself. 2009 was the centenary of Karajan’s birth and, predictably, the Berlin celebration garnered intense praise and intense criticism. 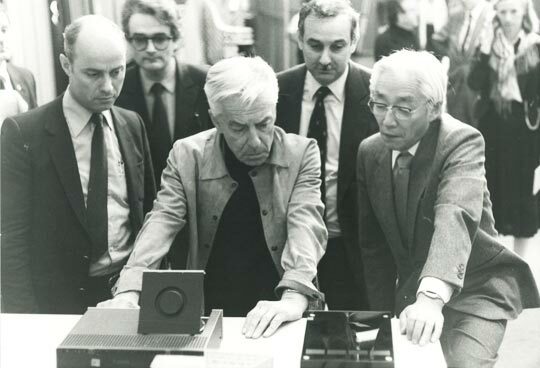 Karajan (who died in 1989) left far more audio recordings and filmed performances than any other conductor in history. His last series of films, for Sony, were produced, edited, and directed by himself, sparing no expense. 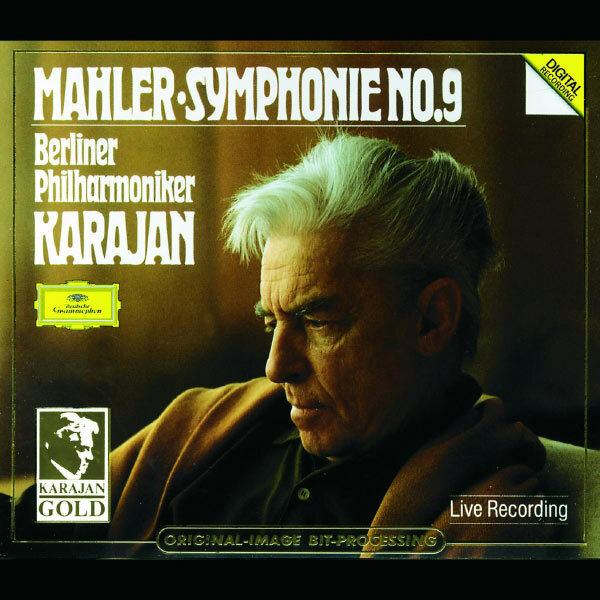 Karajan is often lit from below, like a descending deity. This was the conductor’s final valentine to himself. 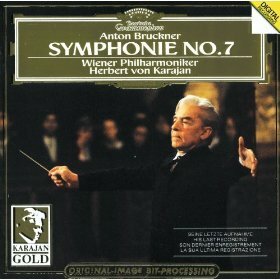 Karajan’s Nazi Party membership; his marriage to his second, Jewish wife (which predictably hurt his career in the Third Reich); his influential promotion of the compact disc format; his alleged homosexuality; and his divisive, bitter struggle with his beloved, yet misogynistic Berlin Philharmonic over his attempt to appoint a female clarinetist are either glossed over or are not covered at all in the film. Still, despite these glaring omissions, Beauty As I see It probably comes closer to capturing the conductor’s paradoxical, obsessive nature than any other of the numerous films. 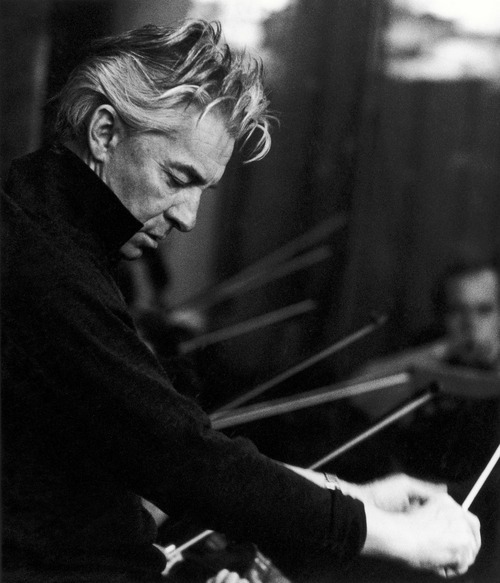 Karajan was an autocrat who, upon being told he had been appointed director for the BPO, said, ” I shall be a dictator”. Karajan was mercenary in his business dealings and died a near billionaire. Stories about his superstar celebrity abound. A taxi driver picks up Karajan after a concert and asks, “where to?” Karajan replies, “it doesn’t matter, I’m wanted everywhere”. Yet, to dismiss Karajan’s music making as all sheen is, in itself, an overly simplified, superficial evaluation. 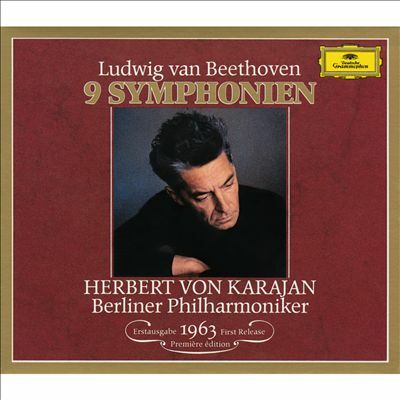 There was a Zen, cool-toned spirituality to Karajan’s art. 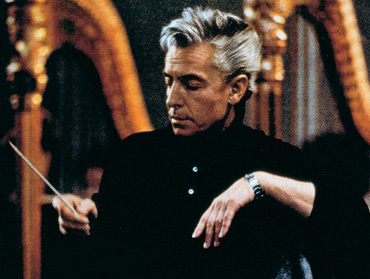 Sometimes, such as in baroque music, the result could be a laughable travesty, but despite his reputation of being in the German tradition, Karajan was really ultimate in the lesser known repertoire, such as the twentieth century music of Schonberg, Berg, Webern, a chamber-like, silvery Wagner, Mahler, Bruckner, Strauss and Bartok (the latter two he recorded for Stanley Kubrick in 2001 and The Shining) . 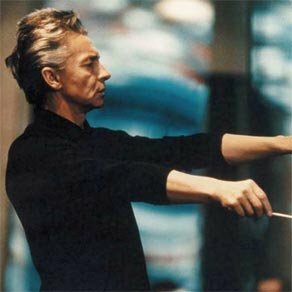 Tellingly, Karajan refers to every recording he conducted as “my music” as there is little doubt that, at all costs, he was insisted on his own individualism and stamped everything he touched with it. He never repented for his ancient Nazi past, dismissing it as simple career opportunity (although it did very little, if anything for him). He often behaved like a Nazi, yet he could also be extraordinarily contemporary. 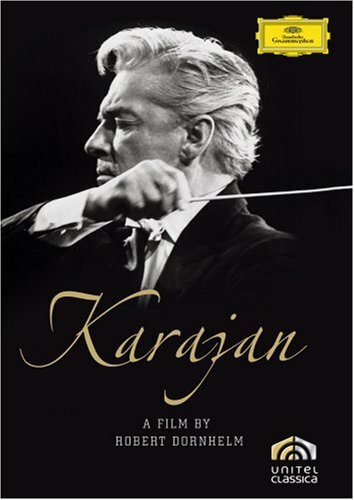 The documentary contains valuable, newly released concert footage of Karajan in performance, including a disturbing one from the Nazi era. 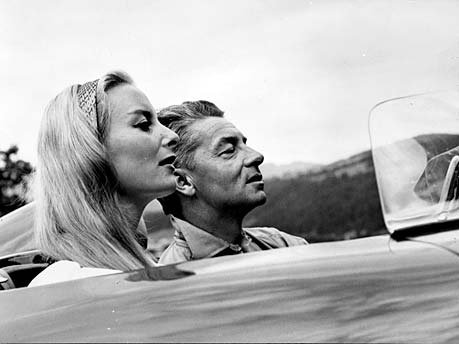 Couple that image with Karajan-the race car driver, pilot, business man, multi-millionaire, dictator, husband of a beautiful model, father of two daughters, latent homosexual, Zen Buddhist, filmmaker, and most prolific superstar conductor in history, and Beauty As I See it may not fully capture Karajan, but, amazingly, it comes close enough. This entry was posted in Film Reviews and tagged CLASSICAL MUSIC, Documentary, Herbert Von Karajan, Robert Dornhelm by Alfred Eaker. Bookmark the permalink.